Hospitals, clinics and other health centers are places that are susceptible to infections. Protection of patients and their visitors and health facility staff from infections is therefore important. 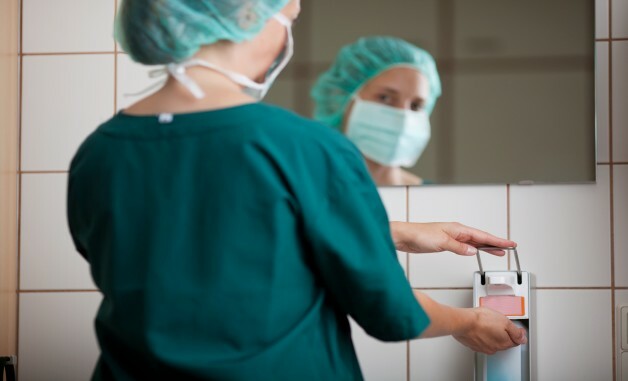 Infection control supplies ensure a safe, cleaner and infection-free environment and are therefore an essential part of any hospital’s or health facility’s inventory. Deodorizers help in eliminating strong and harsh odors commonly occurring at hospitals, nursing homes, dentist offices, physicians’ clinics, and so on. These odor eliminators contain soothing and fresh air fragrance to create relaxing, healthy and fresh smelling environment for patients, medical professionals, staff and visitors. Most hospitals today are using non-toxic, bio-degradable, hypo-allergenic and non-flammable deodorizers in non-aerosol containers to ensure maximum safety while being environmentally safe. Hand sanitizers are used for killing 99.9% of harmful hand bacteria instantly. These are typically non-sticky and non-irritating waterless solutions that reduce the risk of infections while leaving one’s hands soft, smooth and pleasantly scented (some varieties). Dye and preservatives free, hand sanitizers are also compatible with latex gloves and are also long lasting, inhibiting bacteria re-growth. Hand sanitizers are available in several variants – hand wipes, foam, dispensers and gel/liquid. These infection control supplies are meant for disinfecting non-porous surfaces, equipment and non-critical instruments. These are very effective against bacteria, fungus, and virus including the ones that cause Hepatitis B and C, HIV-1 and Tuberculosis. These are also used against mold and mildew and can effectively eliminate odor. Disinfectants from leading brands are non-corrosive, non-staining, biodegradable and non-aerosol..
Disinfectants are available in multiple forms such as liquids / concentrates and sprays. Based on the purpose and area that needs to be disinfected, one form of the disinfectant is chosen. Anti-microbial liquid soaps are very popular and are frequently used for effective germ reduction. These are basically lotion based formula that is gentle, non-drying and hence mild to skin. These liquid soaps are normally used with the help of soap dispensers to allow pre-measured application minimizing waste and increasing coverage. Soap bars and foam based soaps are also extensively used in medical facilities. Industrial hand cleaners are also available for removing the heaviest, grease, tar and oil. These typically contain scrubbing particles and need to be applied to dry hands and later rinsed off or wiped off. These are disposable surface disinfectants that are designed for use on a wide range of hard, non-porous surfaces and equipment commonly found in healthcare environments. The formula used is alcohol free that makes these surface wipes ideal for use on sensitive equipment. These are also fragrance free in order to suit asthmatic patients. Effective waste management is integral to a healthy environment. Hospitals and medical facilities make use of disposal containers, collectors and collector trolleys to ensure proper waste management. Disposal containers are used for small and large sharps such as fistula needles, etc. Leak resistant waste collectors are also widely used. If you are looking for cost-effective infection control supplies from leading manufacturers and brands, you may want to check the online platform to get some great deals on these products and other medical supplies.